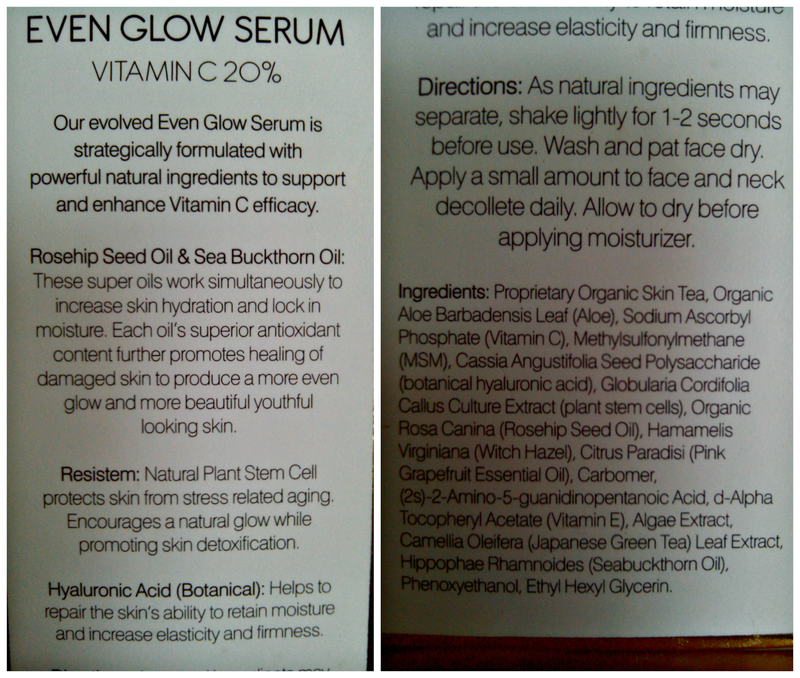 Home » Skin Care » The Best Vitamin C Serum Ever! 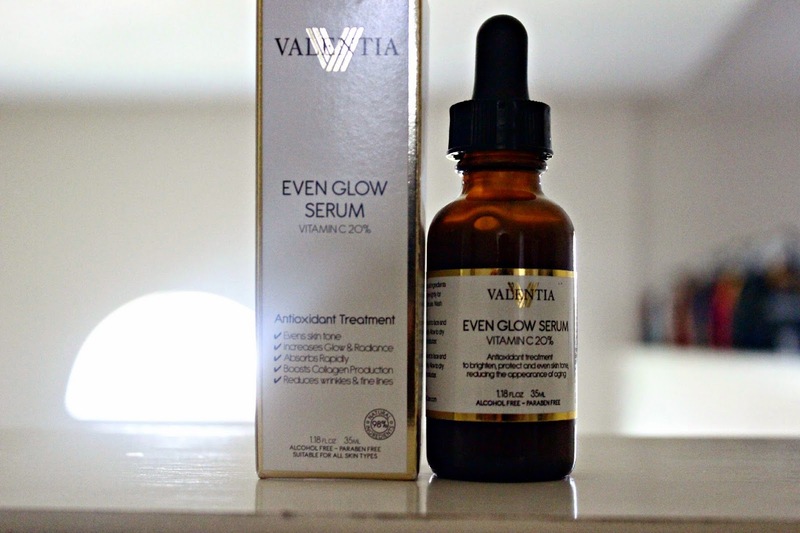 I did a review last month on the Nature's Best Vitamin C Serum by Mystelic, and my bottle went fast, so I applied for a promotion and received the VALENTIA EVEN GLOW SERUM Antioxidant Skin Treatment. I really prefer this serum to the Mystelic, mostly because the vitamin c concentration is stronger, and you can easily detect it's smell (I want to taste it sometimes).I also love the fact that the ingredients are easy to read and are mainly organic, also my hyperpigmentation is gradually reducing, and I do suffer from severe discoloration, so this is a plus for me. I use as directed, cleansing my face with baby wipes, apply the even glow serum, then apply aloe gel mixed with argan oil as my moisturizer. Although this one is slightly more expensive ($35), I've seen impeccable results and will definitely reorder once my bottle runs out.